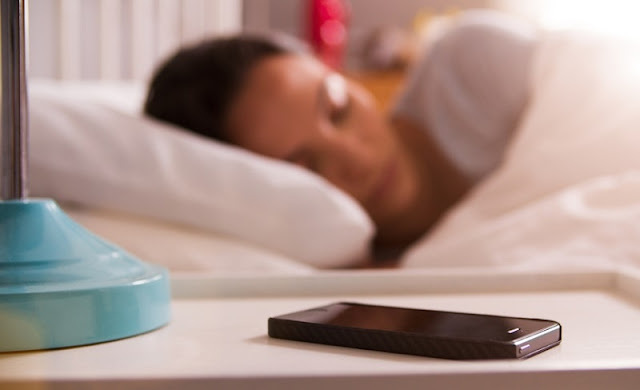 What you need to know about sleeping next to your phone! Is sleeping next to your phone dangerous? Does the radiation from your mobile device really cause cancer? 1. The type of energy emitted from mobile devices is radio-frequency and it does not have the ability to damage to DNA like ionizing radiation (such as an x-ray). 2. Several large epidemiology studies have been conducted on mobile phone use and the risk of central nervous system cancers. The studies do not establish an association between mobile device use and the risk of central nervous system cancers. 3. The International Agency for Research on Cancer (IARC), part of the World Health Organization, is the predominant public health authority on identifying and labelling carcinogens as such. Their working group concluded that it was possible that radio-frequency exposure from mobile devices is associated with cancer risk. However, all of US health agencies (Centers for Disease Control, Food and Drug Administration, and National Institute of Environmental Health Sciences) make strong statements for mobile device safety and find no link between radio-frequency energy and cancer risk. The National Cancer Institute has created a great fact sheet on this topic. Bottom Line: As a toxicologist do I believe that there is a risk? That said, common sense is always a good thing. I would not advocate sleeping with your phone next to your head, primarily because you will benefit from the uninterrupted sleep. And hey, there's nothing like being too careful when it comes to life. Dr Renee Hartsook is a toxicologist, STEM advocate and science writer. Whatever the report, I believe it's best to sleep with your phone far away from you.